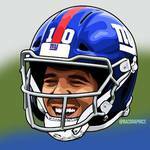 I think he would be a great qb to sit behind eli for a year and learn the system. Heres an interesting scouting report on him. So you're telling me the Giants could get ANOTHER hall of fame QB? Not a bad proposition. He's mobile unlike Eli. He ran for over 180 yards against North Carolina. That adds another wrinkle into his game. I want nothing to do with Jones at 17. For the 2019 NFL Draft, Jones looks like a consensus first-round pick from speaking with team sources. He could become a franchise quarterback and be a good pro starter. Three general managers told me they thought that Jones would rise in the leadup to the draft and be the first quarterback taken. Regardless of if he is the initial signal-caller to go off the board, Jones should be a top-20 pick. Seems like a good fit at 17. I do like Devin White but we desperately need someone to get to the quarterback. If Josh Allen is available you don't think twice, you send in the pick. Montez Sweat is REALLY growing on me. Like I'm 75% sure that's who I want at #6. Athletic freaks dominate the defensive side of the field. He's a freak and he has production. He dominated the OL at the senior bowl too. Apparently they had to make him rest a bit because he was dominating almost everyone at the senior bowl and it was tough to get an assessment on the OL player's abilities. He was like a man among boys. He could also play the 5 tech on the DL I think. He's quite a tall and long armed guy. He could put a couple pounds on if he moves to the DL but he can also play OLB. He compares to someone like Danielle Hunter. I do not want a guy best described as a game manager with a questionable arm, who has to take a long hitch to throw deep. Where'd you take that absurd quote from? That's what really intrigues me about jones. He is definitely not kyler Murray fast, but he should have enough mobility to get a few yards on the ground in crucial game situations. The link I posted in my first post from Walter football. I could be wrong about Jones. I just don't see it with him as a 1st Round pick. 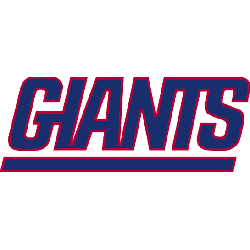 If the Giants don't like Haskins as reported (hard to believe) than don't take a QB in the 1st round. Trading for rosen and getting jones may sound crazy, but give yourself as many chances at finding a franchise qb as you can get. Worst case scenario your trading one and losing a some draft value. But if it helps you find the franchise qb it's well worth it and more than likely a cheaper option than trading up for one guy. One thing is almost always certain in todays qb driven nfl. QBs always move up the draft board. And teams like to take QBs in the first round for the 5th year option. If the QB turns out even even just good, it could mean a 15+ million dollar savings compared to a qb drafted in the 2nd round becoming a free agent after year 4. 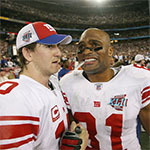 So Jones is going #1 overall like Eli?